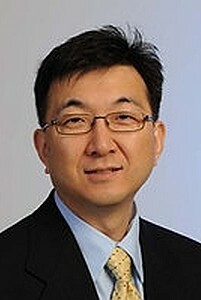 Dr. Lee is a Clinical Instructor in the Department of Medicine at the University of Connecticut School of Medicine. Dr. Lee is board certified in internal medicine as well as allergy and clinical immunology. Dr. Lee holds hospital privileges at Hartford Hospital, Connecticut Children’s Medical Center, Middlesex Hospital, and Saint Francis Hospital and Medical Center. Dr. Lee earned his medical degree from the University of Medicine and Dentistry of New Jersey. Following medical school, he trained in internal medicine at Mount Sinai Medical Center in New York. Dr. Lee completed his allergy and immunology fellowship at Mount Sinai Medical Center as well. Dr. Lee is a member of the American Academy of Allergy Asthma and Immunology, the American College of Allergy Asthma and Immunology, the New England Society of Allergy, the Hartford County Medical Association, and the Connecticut Allergy Society. Dr. Lee holds special interests in asthma, food allergy, and chronic sinusitis.